How many interesting stories can you tell about your ancestors? As family historians, we love our names and dates, but when it comes down to it, stories are what really bring our ancestors to life. There's nothing like a good story - and if you aren't uncovering good ones about your family, you're missing out on one of the major benefits of family history research. If you're new, you can discover interesting facts and stories about your family member right away with ease in the US Federal Census. And even if you're a veteran, returning to the censuses and making sure you've extracted every last piece of information will help you uncover amazing stories and lead you down new paths to research. The US Census is the cornerstone of family history research and the very first resource you should examine. 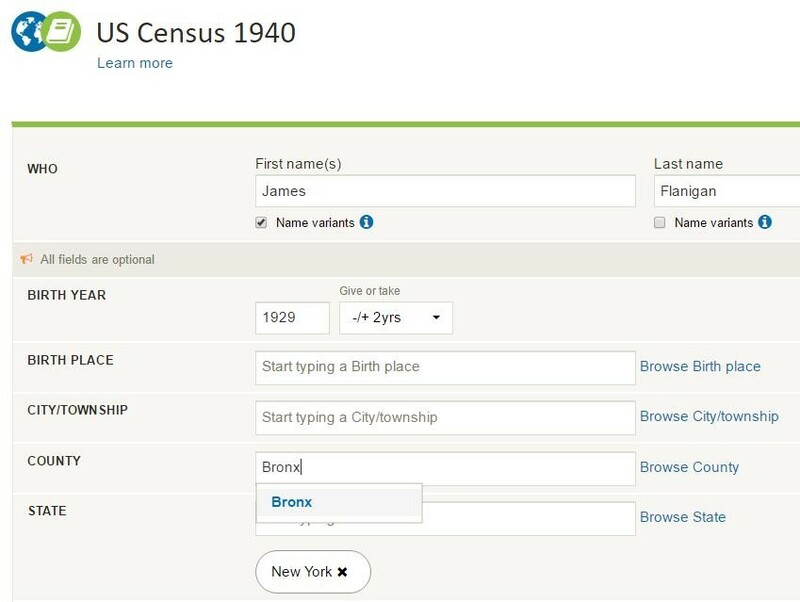 Our US census search guide explains why the census is your best bet for immediate and significant family history progress, and also lists exactly what information is available in each census. Find amazing facts about your ancestors like occupation, salary, country of birth, year of immigration, details about the house they lived in and much more. Even for those who have visited censuses before, it's always a good idea to go back and re-trace your steps. You may find that an old piece of information has new relevance or is a key piece of a previously unsolved puzzle. Start with what you know and work backward. Pick a side of your family - your mother's or your father's - and picture the family household in the year 1940. Who would have been the head of the household? One of your parents? One of your grandparents? One of your great-grandparents? If you can't figure out the head of the household, focus on anyone who might have been living there. Once there, search "US census 1940" and click on the link that comes up. On the search screen, input any details you have about the person. When entering locations, make sure to click the link that comes up below where you are typing - clicking the place name will then add it to the search. Notice how "New York" looks below. When your place name looks like that, you know you have added it correctly. In the search results, you'll see all possible matches - if there are multiple ones, you'll need to assess which household belongs to your family. You can view the detailed transcription by clicking the piece of paper icon or the image of the actual record by clicking the camera icon. The transcription will show you a list of everyone in the household. Below that you will find the details on the ancestor you searched. You can easily open up details on any other member of the family. The transcript should give you enough information to decide whether or not it's your family. Make sure birth dates, names of relatives and are consistent with information you already have. Since this is the first record of your search, it's absolutely vital to get this one correct - you don't want to be researching someone else's family! If you're sure you've got the right family, you need to look at the image. Census images may look tough to read at first, but our image quality remains high even when you zoom all the way in. are only available if you view them on the image. Viewing the image will also give you a snapshot of other families that lived around them. Why might that be useful? Other than the interesting discovery that your great-grandfather made more than almost all his neighbors as a post office clerk, you might be surprised who you see in other households. 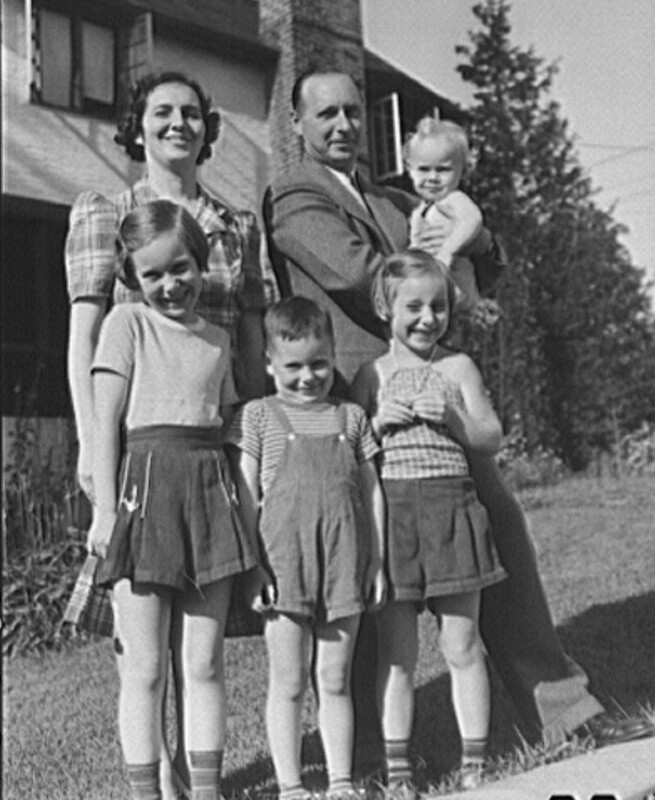 Related nuclear families often lived near each other, especially in urban settings. And if you recognize any familiar names of friends or family (say from a story your grandmother used to tell), this can come in handy for later research. If you see any familiar names elsewhere on the census sheet, note this and save it for later. 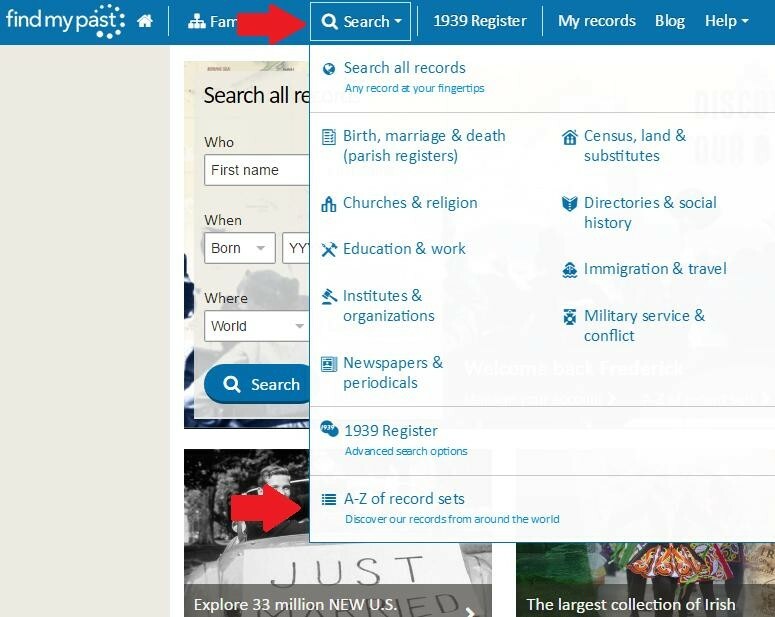 The easiest way to keep all of your discoveries in one place is to start a family tree on Findmypast. One thing that many people miss is adding the interesting details to your ancestor's profile. Doing so will create an amazing story of their life that you can easily refer back to without having to re-browse census images. Make sure to add each person your discover to your family tree and attach the record image as proof. Then add the details you discovered in the census to begin to complete the picture. You'll also notice that as you add family members to your family tree, hints begin to appear. Our hints feature will automatically scan every census from 1850-1940 for each name on your tree. To learn more about hints, see our brief getting started with hints tutorial. Once you have uploaded all your newly discovered family members and each piece of information is entered on their profiles, it's time to move on to the next census. Search the 1930 census for the name of the head of the 1940 household, and focus on a similar geographic area. Make sure the members of their household and specific details match up with what you learned from the 1940 census. Keep in mind that you need to be much more careful if you're looking in an urban area, especially if your family had a common name. There were far more people in a much smaller area, and the likelihood of a name repeating is much higher than in a rural area. Repeat the same pattern for as many censuses as possible. Because the censuses from 1790-1840 have relatively little information, you may only be able to get back to the mid 18th century. Many will be able to trace their entire line back to the first immigrant ancestor who came to America - a landmark achievement. Once you've gone as far back as possible, you have a few options. There are many branches of your family that you can explore in the census - aunts, uncles, cousins and so on. But at this point, you may want to learn even more about the line you just worked on - after all, the more information you find, the more family history comes to life. Go back into your family tree and look for events that you now know happened and want to find more records of. The list is infinite. After completing a few generations of your family history using census records, you will undoubtedly raise many more questions than you answer - and that's the fun of it!